qprint, 24 Jul 2010 I have had this phone for a few days only now all I could say is it is amazing. I use it a... moreI have found that once you have the blue USB polling mode it will recurr again.I did get it again on Friday. I am returning mine and I am going with something else. I am new to this. Are the apps that can be used on this A10 phone similiar to the apps that I have used for my iTouch. How do I access them using the A10. Also can my music that is my iTouch be moved across to the A10? I have had this phone for a few days only now all I could say is it is amazing. I use it as a business phone and make and receive at least 3hrs of calls a day. So I have given a good run so far compared to general users. Battery Life is excellent. Phone quality is awesome. Navigation is just as good as it gets. Touchscreen is much better than my previous HTC HD Touch. Interface is amazing, easy to use. You will not regret buying this phone. I have read that there is a new Android 2.1 version update at the end of this month. I hope this will fix any glitches that the phone has. I still believe even the Android 1.6 version it is good enough. 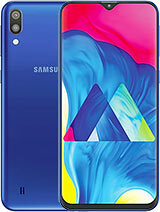 I hope my review will give some of you a positive look at this phone as I have read alot of negative reviews here and also had doubts about purchasing this phone also when I read alot of negative reviews of people have bad experiences with this phone. I hope they have had their phones fixed. I had the blue screen pop up also when I purchased this phone. It happened when I tried to turning it on when charging on the usb on the PC. Message came up USB Polling etc.. I removed the battery and then turned on the phone and then put it back on the charger. It is running fine at the moment. I am sure there a some glitches but nothing that I haven't come across on all the previous mobles I have had. After all even the new iphone 4g is having some issues and this handset is meant to be the perfect phone :) for some. I have 2 of the A10's. One for me and one for my wife. Have had none of the issues expressed here. The GPS works very well better than the Mio I have just sold. Garmain Maps does not use any data as it is a dedicated GPS unlike the majority of other smartphones which use Google maps. Garmin also has Google maps and all the other Google goodies. Android apps are the equivilent of iPhone apps you just need to use Androidzoom.com to make it easy to install. Had one issue with a none charging (in the car holder) battery. having 2 A10's allowed me to simply swap one to the other and then everything was fine. the cure was installing the battery and sitting the A10 in the car holder and this initiallised hte battery. 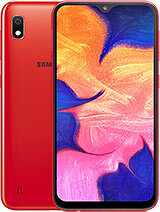 I expect that there could be some lemons out there in such a new phone (not unlike hte iPhone) but for the price this has to be the best value for money smartphone on the market. John de, 22 Jul 2010I have already spoken to support and they are aware of the problem. All I did last night was ... moreHow was your phone all-round. Outside of the bluescreens did it work properly or was it like mine? Garmin_v, 22 Jul 2010Hello. We are keen to know how to reproduce the problem "it has gone Blue screen with the... moreI have already spoken to support and they are aware of the problem. All I did last night was plug it into the charger and the minute i did that it went blue. Now I have no phone as it is been cancelled as 3 in a row is a bit much to be honest. Also last week the gps side played up as well while navigating so the phone has problems and I do not believe I am the only one. I am disapointed as the phone showed a lot of promise. I am disapointed as well but i cannot believe I am the only one that is having this problem. I have talked to Garmin support and they have sent emails off to taiwan to let them know what is going on. Support has told me that the only way for it to go into polling mode is for certain keys to be pressed in a certain sequence. I even have picts of it being in that mode. Well Optus has cancelled my contract for me with no penalty and is taking the phone back. john de , 21 Jul 2010On the 26th of last month i posted 2 comments about the phone well Tonight my phone has done i... moreHello. We are keen to know how to reproduce the problem "it has gone Blue screen with the ***usb polling mode***". Could you describe in more details? Or I can ask our staffs to contact with you to understand more. I am sorry to hear your user experience, and we are committed to make improvement! On the 26th of last month i posted 2 comments about the phone well Tonight my phone has done it again it has gone Blue screen with the ***usb polling mode*** this is the third phone. I will have to take the battery out to fix it. Also last week the maps would not render properly and the voice went all funny. My advice buy something else. To Garmin ....you have problems with your phone which need to be fixed. I have just purchased one of these phones. Can you use Wi-fi with it to reduce download costs and does using the GPS use up download or is it built in to the phone and separate. I haven't had any problems. I have found the GPS useful in the car a few times. I managed to customise my ring and notification tones - which is a must for me. Steve, 16 Jul 2010Returned my A10 today after weeks of it randomly activating its sensor buttons. You could be s... moreGlad I wasn't the only one to have problems. I tried to return mine but they wouldn't take it back. I guess I could have pushed harder but I didn't really care because I still had a Nokia handset that I like so I put the Garmin-Asus in a drawer and forgot about it. Well the Nokia died so I had to use the A10 again. It has become even worse. It is like the phone has a disease that makes it progressively deteriorate. The new thing now is, when making a call, you open the dialer and then find a contact and press call. The dialer then crashes, but the call continues. Now you have an outgoing call but you cant relaunch the dialer. You cannot hang up on this call. All the while you are frantically trying to open the dialer other pieces of softare are launching and closing on their own. The shortcuts screen launches and closes over and over. Eventually you have to take the battery out to stop the phone call. Please no one buy this phone. Rachel, 10 Jul 2010Just bought the phone-3 days ago. I have an imac and thought I would try out the photo's. So I... moreIt is the limitation of Android 1.6 to transfer file via BT. But it is resolved in Android 2.1 onwards. So stay tune for the SW upgrade. Returned my A10 today after weeks of it randomly activating its sensor buttons. You could be sitting there with the phone on and the widget screen would come up then back to the home screen then a settings screen. This even happened while driving using the NAV app. I dont believe this is software but more a hardware issue as I could make the vibration of a key press occur by squeezing both sides of the case and having nothing near the home or back button. Rachel, 13 Jul 2010Does the phone seem to get hot when recharging?yes it does. especially when it is on the mount in car. Does the phone seem to get hot when recharging? Anonymous, 12 Jul 2010how is the garmin navigation app on the phone? how good is it?By foot its great I have not tried it in the car yet.